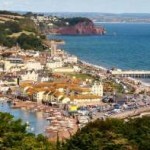 Just across the river from Teignmouth, Shaldon is charming and very pretty offering independent boutique shopping with lots of seaside café’s, pubs and even a tiny zoo. It has 2 beaches, one which is accessed through a ‘secret tunnel’ which was originally used by smugglers adding some excitement for our younger guests. 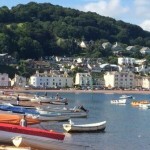 Shaldon is one of our favourite days out. Packed full of family friendly activities. Teignmouth has a fantastic free play park on the promenade, a pier with amusements, a skateboard park, crazy golf and miles of golden sand. 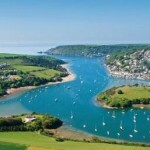 It also offers water sports and boating trips, mackerel fishing is the favourite with our family. 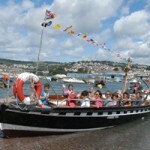 You can also take a short ride to Shaldon on Britains oldest passenger ferry service dating back to 1296. 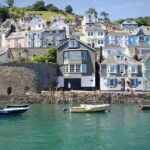 Heart of the English Riviera with popular and varied beaches, palm trees, Thatcher’s Rock, a long splendid promenade and pier, from which to fish. 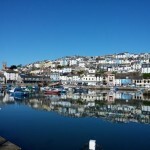 Torquay is full of varied and interesting history: a medieval monastery, the haunted Spanish Barn where the captured sailors from the Spanish Armada were kept, the birth place of Agatha Christie etc. 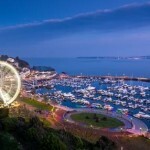 Torquay offers a great varied day out with many Visitor Attractions such as Prehistoric Caves, Miniature Buildings, a Zoo and Aquarium, there’s even Dinosaurs. Quaint small fishing town where life centre’s around the harbour. 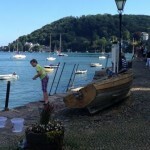 Perfect for an afternoon of crabbing off the quay, enjoying an ice cream (or two!) and finishing off with a visit aboard the Golden Hind. Pretty medieval town with a strong maritime history and home to the Britannia Royal Naval College. With its picturesque setting and fine shops, restaurants and sailing facilities it’s an ideal destination for a great day out. The annual Dartmouth Regatta is the highlight of the annual Dartmouth week and features a range of racing events. Probably most famous for Plymouth Hoe, where Sir Francis Drake insisted on finishing his game of bowls before defeating the Spanish Armada. 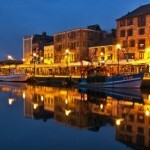 Although Plymouth has a modern shopping centre, the original harbour area “The Barbican” is full of charm with old buildings, many shops and galleries. This is where the Pilgrim Fathers set sail. Lots of yachts and fabulous shops. A great place to take to the water by hiring either sailing or motor boats. And of course, a maritime museum to boot! 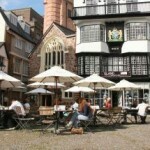 Vibrant capital of Devon with catacombs, Elizabethan houses, cathedral and a stone wall around. 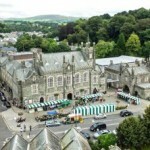 Really attractive and busy market town with fine Victorian architecture. Lots of shops and cafes. 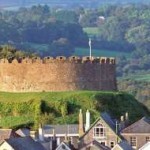 Pretty Devon town with a bohemian feel and a castle. Great for shopping, eating and drinking. During summer season local people and traders dress up in costume every Tuesday morning and hold an Elizabethan market.